Fourplay has been writing and recording contemporary jazz for twenty-five years. The aptly named new album, Silver, celebrates this anniversary with ten new tracks penned by various members of the band, including leader Bob James. Fourplay has often been classified as smooth jazz. Their music is easy-going, melodic, and simply arranged. A quartet of masters on their instruments, Fourplay needs no other accoutrements. Silver features the solo guitar work of Chuck Loeb on most tracks. “Quicksilver,” in particular, is a pacey number with a great hook and lush vocalizations reminiscent of Pat Metheny. The album has a range of up and downtempo numbers. “Mine” is an example of the latter, offering a simple melody carried by James’ piano. “Horace” is a more straight-ahead jazz arrangement, an ode to jazz pianist Horace Silver. It’s ironic that a milestone anniversary like the 25th has traditionally been marked by silver, one of our most tarnishable metals. 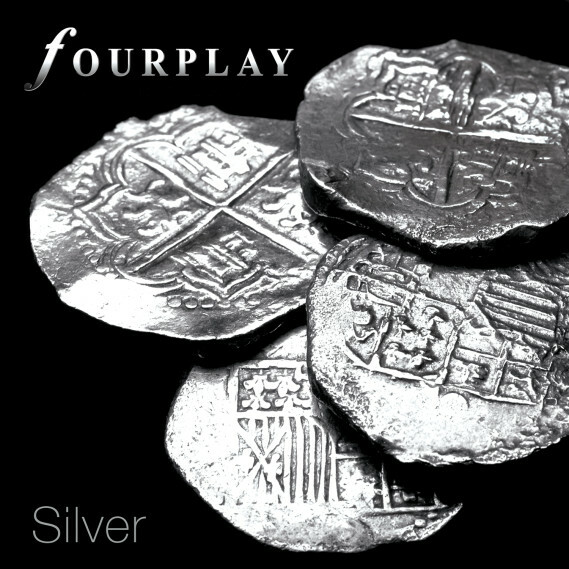 Fourplay’s Silver glistens all the same.